A - B - Seymour: February Currently and TpT Sale! The beginning of February means another Currently from Farley! Go to her blog to get more details and write your own Currently. That's why it's one of my pet peeves not getting a snow day. I also included lying....from students or anyone. It drives me crazy! One more thing before I'm off to go shopping with my hubby....there is a big TpT sale tomorrow! 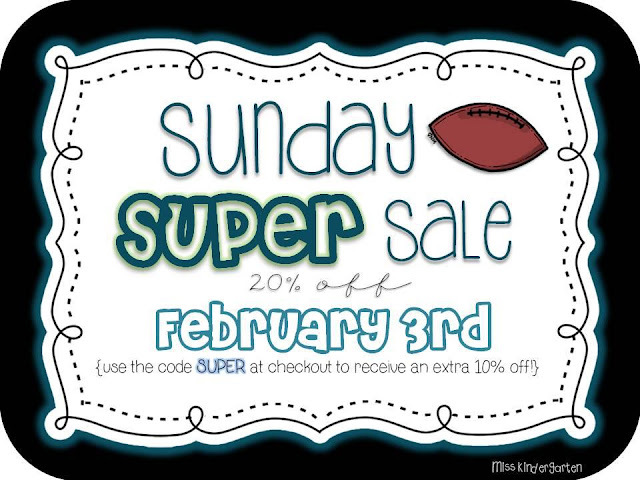 I'm having a 20% off sale at my store and TpT is giving another 10% off if you use the code Super when you check out. I will definitely be doing some shopping during the Big Game tomorrow!! :) Enjoy the big sale! Definitely have to agree with slow drivers in the left lane!! UGH...that makes me NUTS!!! I found you through currently! We have a four day weekend coming up too and I'm so excited!! We live in GA and if there is even a threat of snow everything shuts down and we usually get a snow day. 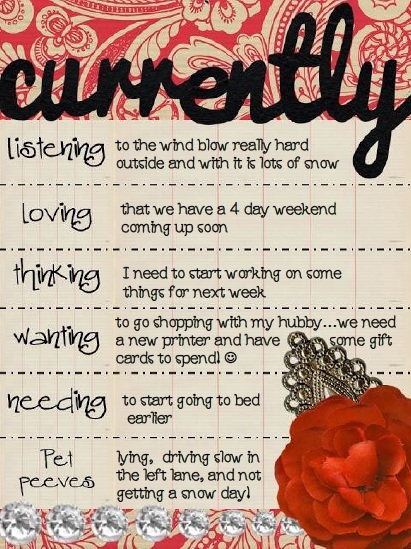 But then we get days tacked onto the end of the year, which is no fun! Enjoy your shopping! We are new followers! I would love to have some snow here in Oklahoma. I love having those snow days too!